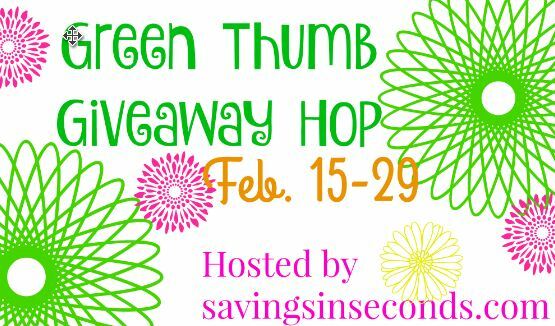 Each participating blogger has a prize that's perfect for spring gardening. 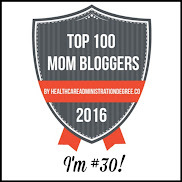 Be sure to hop around to all the blogs on the linky below! Thanks to our Grand Prize sponsor, Bakers Creek Heirloom Seeds, one lucky reader will receive the Heirloom Seed Collection and the 2016 Whole Seed Catalog. This prize package is valued at $58. 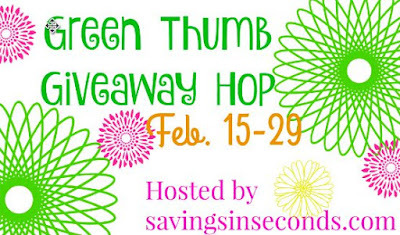 Enter the grand prize giveaway at Savings in Seconds. Good luck! so you can buy some new spring plants or gardening tools! Giveaway open to US. Ages 18 and older. Giveaway ends on 2/29/2016. Good luck! I love to grow vegetables, especially tomatoes. I like planting herbs and flowers. I love to grow tomatoes and cucumbers. I love to grow vegetables in my garden, especially tomatoes and carrots. I grow tomatoes, peppers, squash, herbs, and a wide variety of flowers, especially those that are good for butterflies and hummingbirds. I like growing shade-loving flowers because there's not too much sun in my yard. I love to grow flowers and veggies. I especially love to grow tomatoes, because we go through so many of them each week. I love to grow vegetables, such as tomatoes and cucumbers. e grow all kinds of vegetables in our garden. Each year I try out a couple of different specialty vegetables, a couple of years ago the mini bell peppers were a huge hit and we are planting them again this year. I love to grow tomatoes in my garden. I like to grow Tomatoes from my garden. They taste so much better than the stores! I love planting tomato's. Thanks so much. Leave a comment below and tell me what you love to grow in your garden. I love to grow veggies and roses. I would love to grow tomatoes. We love to grow cucumbers and tomato's in our garden. I love to grow herbs, especially basil! 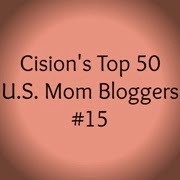 -Megan S.
I love to grow all kinds of flowers. I love to grow Daffodils. I love to grow roses, black eyed susans, dianthus, and daisies the most. I like to grow strawberries. I like to grow roses and vegetables. I do well with most vegetables except corn, for some reason I haven't figured out how to keep the bugs and worms away. I like to grow peppers and tomatoes. We have a successful vanilla orchid that has given us vanilla beans the past three years. Otherwise we keep it simple with tomatoes and a variety of herbs. I like growing tomatoes, peppers and lots of flowers. I love to grow tomatoes and red raspberries. I grow all sorts of perennial flowers like hyssop, lavendar, bee balm, etc. We also do a vegetable garden each year. I love to grow my own vegetables. I love it when an onion blossoms. I grow an assortment of flowers, many red and pink, to attract butterflies and hummingbirds! I love to grow sunflowers, green onions and bell peppers. We love to grow tomatoes, jalapeño peppers, basil, cilantro, & corn! I love to grow heirloom tomatoes and sweet peppers! I love growing carrots, cucmber, and peas! I like growing tomatoes and cucumbers. I love growing berries the most. One of these days, I would like to grow melons, though. We usually plant mainly tomatoes and cucumbers. We don't have that much room for anything else. Google vertical gardening and patio gardening. You'd be amazed at what you can grow in a small space. I only grow flowers because I don't have a big yard. I love to grow strawberries and blueberries, and my hubby grows hot peppers. I love to grow tomatoes most although we grow many things. I would love to have a vegetable garden, but instead I grow flowers! I love to grown wonderful fresh tomatoes! We like to grow tomatoes, cilantro, jalapenos and onions. We do spring flowers and in the fall, mums. I like to grow colorful flowers in my garden. I don't have a veggie garden anymore. Last year we planted some bushes & flowers. We will probably plant some more flowers this spring. So far we only have an herb garden! We just bought a tiller and are looking forward to growing more this year! I'm really looking forward to fresh garden veggies! I love to grow zucchini and lettuce! I also love to grow herbs! I like to grow chili peppers. They can handle the Texas heat. We are attempting our first garden this year. I would love to grow cucumbers, tomatos and green peppers. I'm in drought ridden So Cal, so I have mostly succulents, but I tuck in strawberries, herbs, and of course tomatoes in the summer! I don't know what herbs you grow, but both lavender and rosemary are drought tolerant. I would love to grow lots of veggies. My favorite things to grow are cucumbers and tomatoes. I like to grow corn and tomatoes. Flowers, fruits and veggies including our annual salsa garden. I love growing herbs, tomatoes, squash, cucumbers and lettuce. I love to grow herbs, tomatoes, peppers, and leafy greens. I love to grow anything that attracts butterflies. tomatoes, potatoes, patty pan squash, zucchini, peas, garlic, onions, shallots, passion fruit, hops, limes and lemons (indoors), tulips, daffodils, hardy hibiscus, rhododendrons, crocuses, peruvian daffodils, taro, english thyme, lemon thyme, thai basil, genovese basil, chocolate mint, black peppermint, lemon balm, bee balm, beets, carrots, etc. I like to grow herbs and vegetables in our garden. There's nothing like fresh tomatoes, jalapenos and onions for homemade salsa. I love growing tomatoes and lots of peppers. I love to grow tomatoes, cucumbers, zucchini, and all the herbs. I live in an apartment and don't have room for a big garden :( Very sad!! My dream would be to grow grapes, apples, avocados and lemons!! And have my own bee hives!! We love to grow yellow squash & zuccini! I try to grow anything the deer won't eat. Geranium etc. Tomatoes, nothing like really ripe tomatoes. Since I don't have the ability to do much gardening anymore, my favorite things are cacti and succulents, because they pretty much take care of themselves! Tomatoes, green peppers and cucumbers are my favorite. I love thrush and flowers. We do a lot of hardier flowers but our soil isn't good. I would like to try growing herbs. I particular I want to grow some Roeemary. I love to grow tomatoes and sunflowers in my garden! I love to grow phlox and tulips in my garden. We ususally grow different types of peppers, cherry tomatoes and a bunch of spices. I do not have a garden but I would like to grow herbs, tomatos, and peppers. I love working in my yard and having flowers but I also plant tomatoes and squash because they are easy. Tomatoes, lettuce, radishes, onions, carrots and cucmbers are a staple. Everything to make the perfect salad. Thanks! I like to grow flowers. I love tulips and all sorts of wild flowers. I love to grow vegetables! Although I also enjoy the beauty of having flowers growing, so I do a combination. I love to grow all kinds of plants (drought tolerant) and veggies. I also love to grow flowering vines and lemon trees in huge pots. 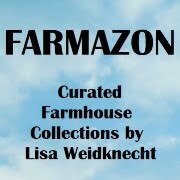 In my garden, I love to grow tomatoes, cucumbers, squash, pumpkins, and sunflowers. I would love to grow tomatoes and red peppers! At this point, I'd love to be able to grow anything and have it survive! LOL I've tried tomatoes, strawberries, lettuce, carrots and serano peppers (these actually last 2 season). I love to grow snap peas. So yummy fresh from the vine! I love to grow a variety of vegetables, herbs, berries and flowers. We do like flowers and plants. I love to start as many of my plants for my garden, esp. if they were seeds that came from last years plants. I love to grow green beans, tomatoes, okra, broccoli (though it never comes out quite right) squash, zucchini and melons in our garden. Lately though I've been thinking about trying to save seeds and someone told me you can't do that if they're not Heirloom.? I love tomatoes most of all, but this year we plan to plant some fruit trees. I hope to start a great garden that can produce for us well into the future. 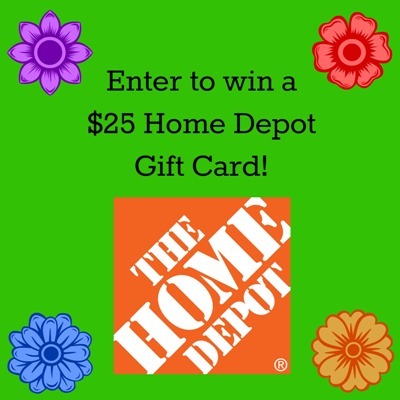 My mom would love some free $25 Home Depot Gift Card!! Free Spending money!! I love to grow tomatoes! Thank you for the chance to win! We grow vegetables & herbs, & also have a small orchard & many berry bushes. Flowers are a problem because of the deer, but this year I might try. my kids love beans and peas and peppers i love the squash tomatoes and greens! My absolute favorite things to grow in my garden is green beans,cherry tomatoes and strawberries! There's nothing better than sautéed fresh beans with onion, lemon and garlic, simple but amazing! I love to see my kids stealing the tomatoes and strawberries! We are actually building a garden this spring. Despite the amount of space they take, my wife likes pumpkins. I love to grow basil mint. I would love to grow avocados ! I love lettuce in the spring and then tomatoes and cucumbers. I love to grow tomatoes if I had a garden. I love to grow vegetables especially tomatoes and peppers. I also love flowers of any kind. I love to grow veggies and herbs. My favorite is lemon basil. Can't get it at the store and I make pesto with it all summer. I love growing flowers, vegetables and herbs for cooking. Tomatoes are my favorite! I love growing tons of tomatoes! I also love growing green onions, cucumbers, green beans, corn, potatoes and bell peppers! I would love to have a cactus garden. I love to grow fresh vegetables and herbs. I like to plant Tomatoes and Watermelons. I wish I could garden! All black thumbs here. Not much room but I grow some herbs. I love to grow flowers in my garden! I grow all sorts of varieties. I grow most everything but I love growing heirloom tomatoes. Its fin to grow the older varieties and I make sauces and all kinds of things as well as fresh. I would love to grow tomatoes! We rent, so I can't plant a real garden, but I do love to grow herbs in pots on the patio. Some years I grow cherry tomatoes, too, and red flowers for the hummingbirds. I love to grow any kind of flowers in my garden like roses and tulips! We LOVE growing tomato and strawberries!! I love to grow tomatoes, green onions, squash and cucumbers. Home grown Tomatoes! This year I am going to plant a herb garden right outside the kitchen door. I love to grow lettuce, tomatoes, & cucumbers especially. I love growing tomatoes and herbs because they are easy and plentiful. I like growing any vegetables, it's great to be able to go pick things and eat them the same day. So far I only have flower gardens, I'd love to grow veggies someday! I love to grow okra, potatoes, tomatoes, peas, cucumbers and peppers. I like growing carrots and tomatoes. I love to grow flowers. I like to grow peppers. I love to grow flowers in my garden. I love to grow fresh herbs like basil. I love growing tomatoes and garlic! I love tomato's and zuchini,sp. I love growing tomatoes, various peppers and basil. I also plant different flowers every year, depending on what catches my eye. We love growing all the vegetables in our garden but I especially love tomatoes. I love growing tomatoes the most. I love to grow vegetables in my garden, especially tomato plants. I love a flower garden with Sun Flowers, Roses, Peonies, Tulips, Day Lillies, and Petunia's. I love to grow tomatoes and eggplants.